Most hydrangeas prefer only morning sun. Yet one type of hydrangea can soak up the sun all day: the panicle hydrangea. While they can stand the sun, these do just fine in partial shade, too. Plus, panicle hydrangeas are the hardiest hydrangeas. To learn more about hydrangeas visit our total guide to growing hydrangeas. Here are the best hydrangea varieties to grow in full sun. 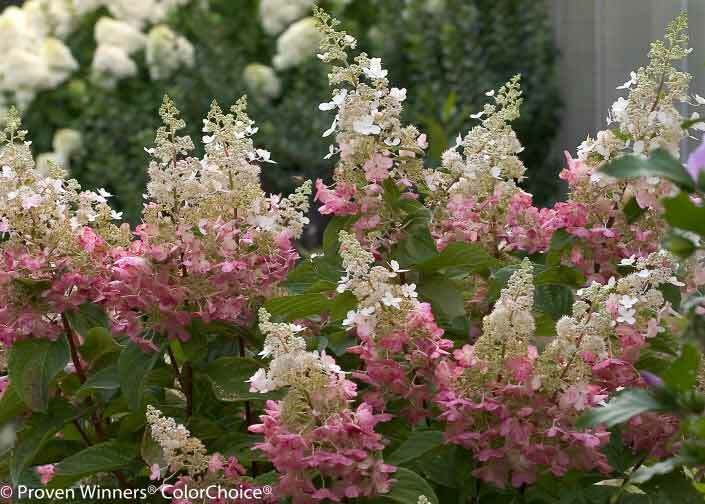 Pinky Winky Hydrangea – As fun to say as it is to look it. The Pinky Winky is everything ombre was meant to be. Its two-tone flowers come back every year and thrive in urban gardens. 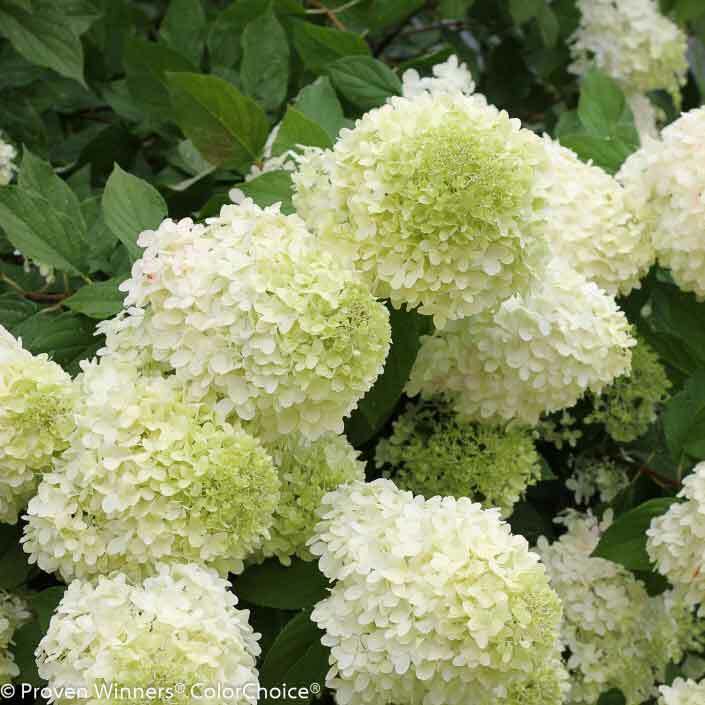 Limelight Hydrangea – As refreshing as a lime in summertime! This cool-colored hydrangea is super unique and performs reliably year after year. The Limelight is not picky about much. And, there’s any even cuter, dwarf Limelight! Soil: Prefers moist, well-drained soil. Will grow in nearly any soil. 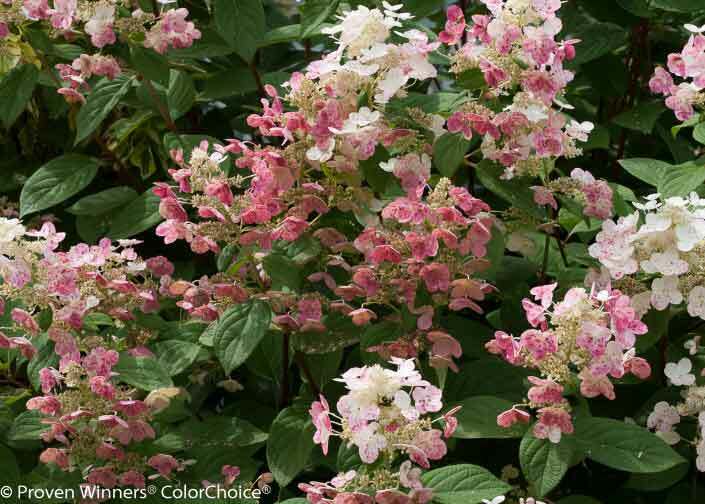 Quick Fire Hydrangea – A super-fast grower with sizzling blooms! This hydrangea blooms a full month before other hydrangeas. Then it re-blooms in late fall. Quick Fire, or its dwarf sibling, love to bask in the sun! Now start growing! Want more? Find out which hydrangeas bloom all summer. Learn about the best hydrangeas for beginners. Find out even more about hydrangea care in our Ultimate Hydrangea Guide!